Musical actor Son Seung-won (28) was arrested on charges of escaping from a car accident while driving under license without a license. Gangnam Police Station in Seoul said on March 26 that he had seized Son Seung-won on suspicion of escaping from dangerous driving conditions, drunk driving and unlicensed driving under the Road Traffic Act. 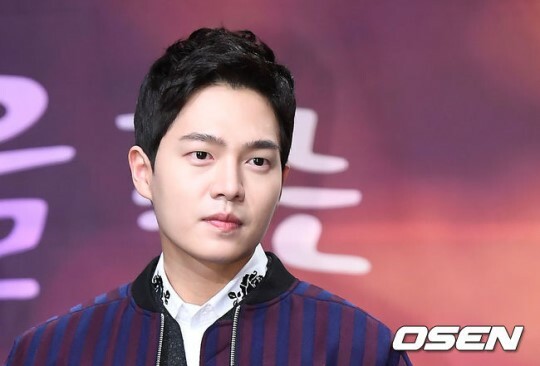 According to the police, Son Seung-won is accused of driving another Benz car owned by his father in a dirty situation in front of CGV in Sinsa-dong Cheongdam, Gangnam-gu, about 4:20 am. Son Seungwon is accused of running about 150m to the school crossroad after taking an accident and taking no action. Son Seung - won was caught at the end of the pursuit of taxi drivers and citizens around the scene of the accident. Son Seung-won's blood alcohol level at the time of the accident was 0.206%, the license revocation level. Son Seungwon was arrested for drunk driving last September, and his license was canceled last month. Two people, including a 50-year-old surrogate driver and a 20-year-old drunk driver who were riding in a car injured in a drunken accident by Son Seung-won, lightly injured. They were referred to the hospital for pain, but were reported to be not seriously injured. A police officer will investigate the precise accident, and will review whether Seongwon applies for arrest warrant. Son Seung Won debuted in 2009 as a musical actor, and appeared in the drama 'Youth Age', 'Ela Cha Cha Waikiki' and announced his face. Son Seung Won is currently appearing on the musical 'Rimbo'.